If someone looked at your life based on how you spent your time, what would they determine is the most important part of your life? For me, I’m quick to tell you that my relationship with God is the most important part of my life. But if you were to tally up the minutes I spend at work and at home, that’s not the picture you’d get. After a busy season of life, I’ve realized my time with God has become marginalized—that is, literally pushed into the margins of the page. I give God the leftover time I have in the morning as well as the few fading minutes of the evening. Does that sound much like a personal relationship with the Creator of the universe? I don’t think so. I know I want to change. I’ve found the closest thing to a game-plan in the first two verses of Romans. What happens to a sacrifice? It dies. Paul is asking us to do so much more than a daily devotional. He’s asking us to do way more than “spend time with God.” Paul is asking us to die to ourselves—to start with a posture of obedience and sacrifice. Once we decide to obey, then we learn what obedience means in Romans 12:2. Transformation is never an instantaneous process. Caterpillars don’t change into butterflies in one night. People don’t lose 100 pounds in a day (or a week, or a month). I shouldn’t expect anything different from my relationship with God. Yet this transformation is passive. Romans 12:2 says “be transformed….” The decision “do not be conformed” comes when we surrender self to step onto the altar of God. The decision “be transformed” comes when we work out the implications of staying on the altar of obedience. There are so many voices in the world, and God wants us tuned to His. Trying to find the will of God without the Word of God is like trying to find your way through pitch black wilderness without a flashlight (see Psalm 119:105). Yet getting directions with no intention of following them isn’t very useful, either. The combination of a heart set on obedience and the Word of God is powerful material for the Holy Spirit. This is the part where a majority of people step off the altar. I don’t like to admit it, but Romans 12:2 basically says that the instructions aren’t going to be clear at first. We have to be okay trying and failing. I couldn’t ride a bike until I was nine years old. Every time my parents would take off the training wheels, I would become paralyzed. If I didn’t ride this bike perfectly, I was going to fall off. And that failure meant pain. I needed practice. And even though I knew all the basics, I needed to be okay trying and failing until I got it right. God redefines failure (I could write an entire post about this). His grace sees us as we are and sees what we can become. Trying for righteousness and failing is not disappointment in God’s eyes. This is so hard. I get it. It’s hard to step onto the altar knowing you’re going to be consumed. Everything I want is going to die. More aptly, I am going to die. Yet in dying to myself, I find myself more alive than I have have been. The path to aligning our beliefs with our lives has to start with a commitment to obedience. That decision, when combined with the Word of God, produces transformation sometimes so subtly that we don’t even know it is happening until it has happened. If we are committed to obey God and are filtering our mind through His Word, then we have to try practical obedience, even when it results in failure. God isn’t looking for a blameless sacrifice. He’s looking for an obedient one. Here’s what most of us don’t like admitting about sanctification: It’s hard. Yes, it happens TO us, but that doesn’t mean there isn’t work on our part. The parallels between sanctification and working out are just a little too painfully true. Better known as “The Cooper Test,” this endurance exercise was designed to measure maximal oxygen intake. For ten minutes, the athlete warms up. Then for twelve minutes, they run as fast and as far as they can. I hadn’t gone three minutes on the family treadmill before I had to slow down. By the end of it, I was sweaty, panting for breath, and (to my dismay) scored in the lowest category, “Poor.” The “everything-less-than” category. Here’s the thing most of us know and admit about working out: It’s hard. One reason working out is so hard is because we know it is. 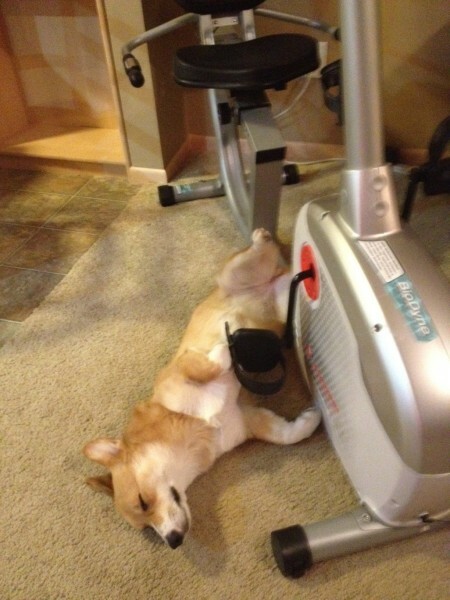 I know that every time I work out I’ll get exhausted. As a result, every time I know I should work out I have to fight against my desire toward ease and comfort. That battle of motivation – toward work or ease – is a battle fought physically and spiritually. Why aren’t we talking about this more? We all fight this battle of motivation when it comes to following God. Just ask yourself: What holds me back from obeying God 100%? The Bible makes it clear that there’s a battle going on inside every Christian. This daily battle to follow the Spirit over the flesh is called sanctification. I tend toward comfort. If you’re human, so do you. As a result, we may not like sanctification when it shows up because it often looks like work. I wrestle to live fully for God. It’s funny how the closer I get to Him, the more clearly I see my shortcomings. I think He does it that way for a reason. That’s huge. Do you realize what that means? That means our perfect God calls us to act on His behalf, knowing we’re imperfect. Yes, perfect obedience is required to fulfill God’s law, but perfect obedience was done for us. Hebrews 10:14 For by a single offering [Jesus] has perfected for all time those who are being sanctified. Only in Christ can God call us to something we could never achieve and look upon us with acceptance and joy. When God calls us to obedience, He isn’t surprised by our inability, only by our unavailability. We have incredible freedom to obey God. The only thing we lack is an excuse. At the heart of it is obedience – understanding that God doesn’t judge success like we do. He looks at our hearts. He sees our weakness and our double-mindedness. And He gives us the strength to fight, to wrestle, to run. The painfully beautiful truth about sanctification is that we wrestle in humility. Know that God has called you to obedience, and you can’t do it on your own. Fight passionately to obey, knowing God works in you. The work is finished, and we now have the freedom to run. Philippians 2:12-13 Therefore, my beloved, as you have always obeyed, so now, not only as in my presence but much more in my absence, work out your own salvation with fear and trembling, for it is God who works in you, both to will and to work for his good pleasure. 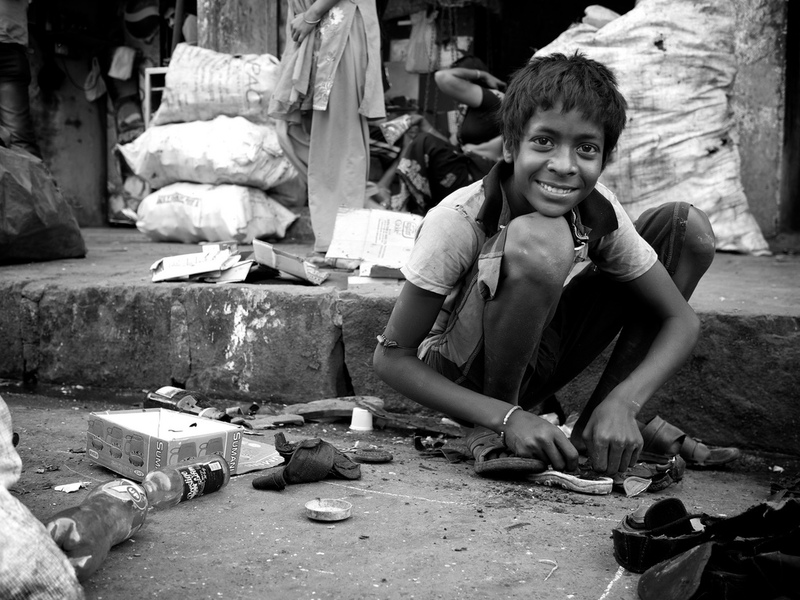 For a long time, when I thought of “compassion,” I thought of a child sitting in a slum in India (and he’s probably in black and white). Most people associate compassion with those who are disconnected from them: overseas, living in poverty, in dire need of help. What’s your picture? A lot of us have been missing the true meaning of compassion. Sponsoring a child or helping an elderly man in India is right, but not exclusive. Compassion is intentionally shouldering someone else’s burden, expecting nothing in return. Compassion is nothing short of one-way love. Compared to compassion, reciprocal love is easy. It’s easy to love those who love us. We’re far more willing to sacrifice if we know what the outcome will be. I wish relationships were like business. The goals of business are to be both effective and efficient. Business is simple – you put a certain amount in, and you get a certain amount back. But that’s not how people work, and compassion is exclusively personal. Effective personal relationships often aren’t efficient. Love may be a natural reaction, but compassion is always an action. So far I’ve said “suffer with people” and, “give while getting nothing back.” I’d say I’m making a pretty poor sales-pitch for compassion. But what we tend to forget – what I tend to forget – is that the true value of compassion is not in the virtue of what you give but in the reward of what you gain. Take listening, for example. Most people wouldn’t think of listening as an act of compassion. But if you’re truly listening – striving to understand another – the you’re giving both physical time and emotional energy. When we listen to someone, our act of listening doesn’t make them love us, and it doesn’t make us feel loved. Yet the reward of listening isn’t love, it’s trust. Affection may come and go, but trust is an established foundation that takes time. Building trust takes compassion. Her question caught me off guard. I had always known that – yes – Jesus died for all people, but only some will believe in Him. But I had never heard the question phrased that directly. God demonstrates His own love for us in that while we were still sinners, Christ died for us. Jesus died for us, knowing He might not get anything in return. God’s greatest act of love for us was compassion. What an incredible reason to trust Him! In fact, the promise of our trust is the reason Christ died with joy. He went to the cross “for the joy that was set before Him” (Hebrews 12:2) – that is, us. No one has a better example, experience, or motivation of compassion than Christians. We’re called to reflect that love by giving of our time and emotion to those who may not return our love. Our example is Christ, our experience is redemption, and our motivation is hope in future trust. Sacrifice today – toward a family, friend, or stranger. Show compassion, and your actions will echo the heart of God for all eternity. Welcome to the age of Christian opinion. In just a matter of seconds, you can find a Christian article (and counter article) on virtually every topic. Even more impressive than the availability of Christian opinion is the appetite of readers. All it takes is a catchy headline about a topic we care about (or are made to think we care about), and we eat it up. We’re restless to hear, know, and explore opinions similar and different than ours. We want to know why we believe what we believe. We devour media to help us shape our ideas, our ideals, and our identity. Today I read the opening three chapters of Ezekiel, and they left me silent. In these chapters, Ezekiel sees visions of heaven, sees God on the throne, and is given words to speak God’s message. The verse that surprised me is halfway through chapter three. And I came to the exiles at Tel-abib, who were dwelling by the Chebar canal, and I sat where they were dwelling. And I sat there overwhelmed among them seven days. The Hebrew word for “overwhelmed” can also mean “stunned” or “devastated.” Ezekiel didn’t hear from God and then erupt into prophecy. He sat, devastated by the sight and sound of God for a whole week. And God didn’t correct him. He didn’t rebuke him. He didn’t tell him to get over it. In today’s Pop Christian culture, Ezekiel could have made bank from a “Heaven Is For Real” knock-off. Yet besides the brief recounting in the beginning of his book, Ezekiel never mentions his heavenly vision anywhere else. Ezekiel’s encounter with God left him in awe, and that was enough. Contrast to that, I worried for a generation of Christians who are listening for the wrong reasons. I’m worried for those who listen only for the sake of speaking. I’m worried for those who bow their knee so that they can lift their voice. I’m worried for those who obey God for the sake of a great story rather than for the sake of knowing God. I’m worried because I know that person is me. I challenge you (and me) to take a week without “Pop Christian” reading. I’m talking about articles shared via Twitter, Facebook, or other social media. 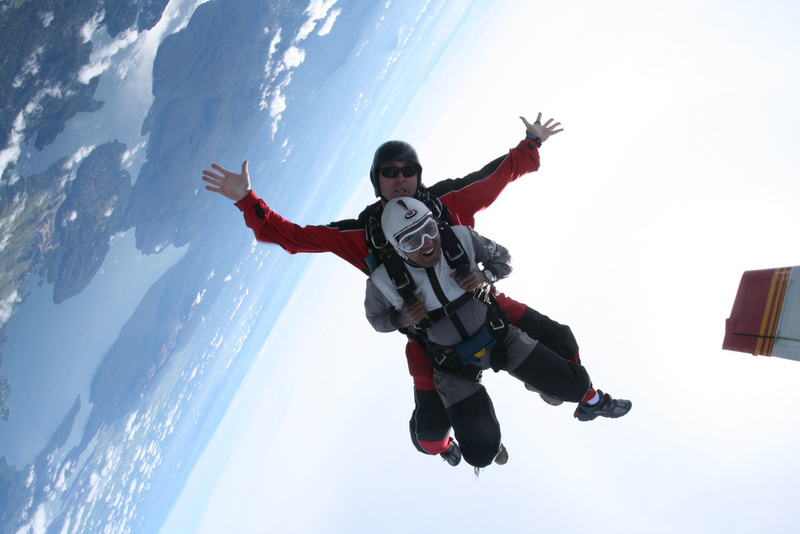 Adrenaline junkie, quench your thirst for the latest Christian opinion with the Word of God. Don’t get me wrong – I truly value publications like RELEVANT, Christianity Today, Charisma, Prodigal Magazine, and more. I’ve been encouraged and challenged in my faith by each one of these. But ultimately, it’s not about me. It’s about worshipping God – seeing how big and glorious He is – and standing in awe. What do you think? What are the benefits and dangers of Christian opinion in a viral age? Share your thoughts in the comments below! Three days ago, I backed into a car. No one was around, so I had to leave a note. The lack of closure only increased my anxiety. The next day, I went to church, and the sermon hit home. The point was this – although life may be chaotic at times, God wants to be present with us wherever we are. Since that message, I’ve asked the question in many everyday circumstances: What does it mean for God to be with me right now? When falling into sin, we tend to wait until everything’s “okay” before talking to God. When faced with a stressful situation, we tend to wait for relative peace before talking to God. 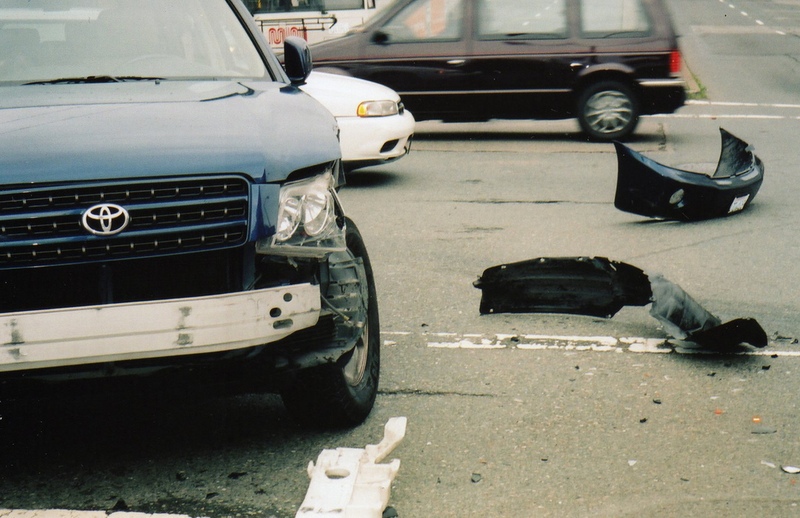 When I backed into a car, I waited until I was safely in bed before really talking to God about it. We may hide like Adam and Eve, but God still comes and asks, “Where are you?” God is present, and He cares. “I walk,” “I will fear no evil,” “You are with me.” See the progression? Right now, I walk through the shadow of death. Now and in the future, I won’t fear, because right now God is with me. He comforts me right now. God is already with you wherever you go – whether finishing finals, changing a diaper, driving to work, or backing into a car. Don’t wait until it’s convenient to let the God of all peace be present in your life. God wasn’t waiting for David on the other side of the valley of the shadow of death. He was there; He is here. How has God reminded you of His presence in life’s circumstances? Share in the comments below!